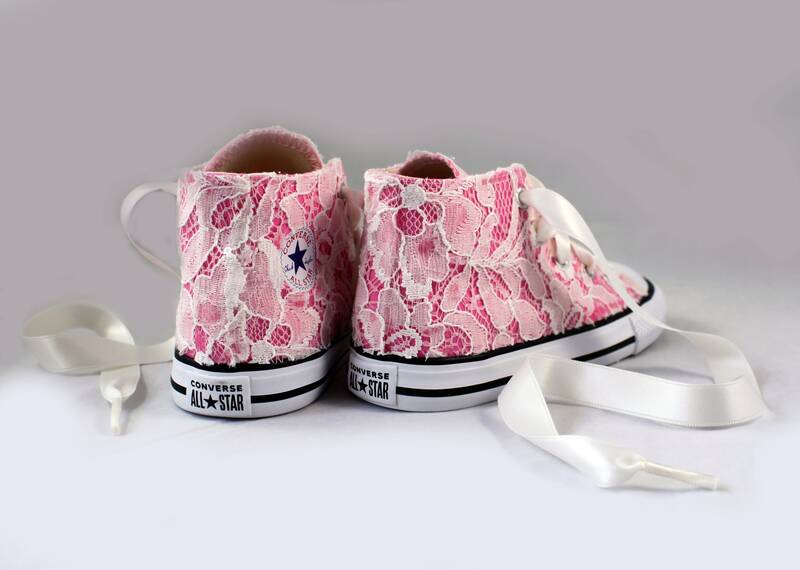 Because every girl needs a sassy pair of Converse! 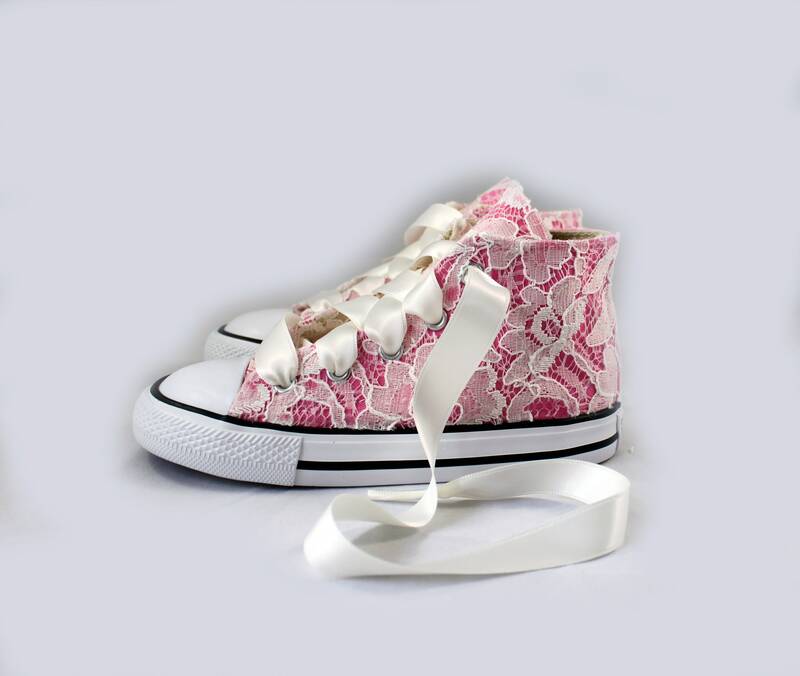 Pictured in pink with ivory lace, translucent clear sequins and ivory ribbon shoelaces. 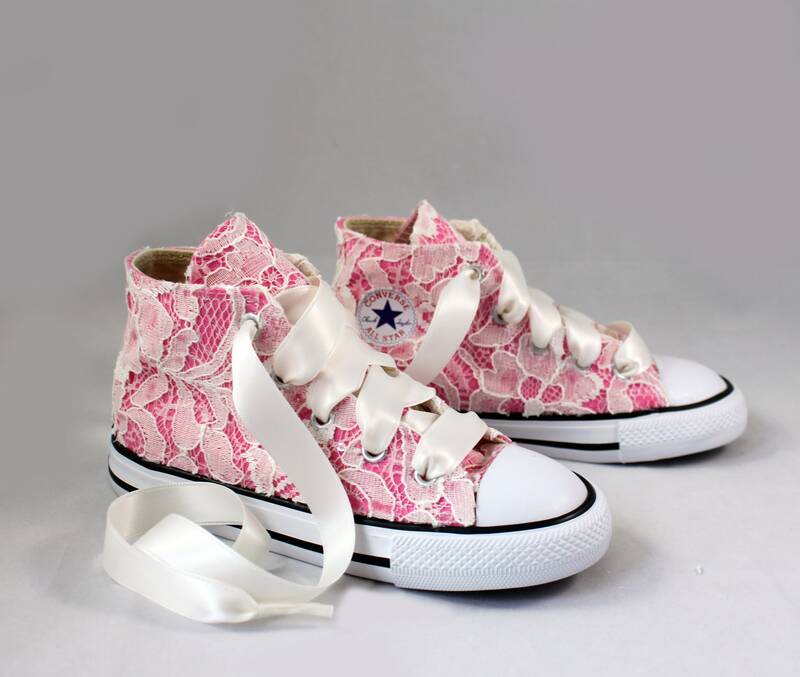 Alternate Converse colors are also available upon request. 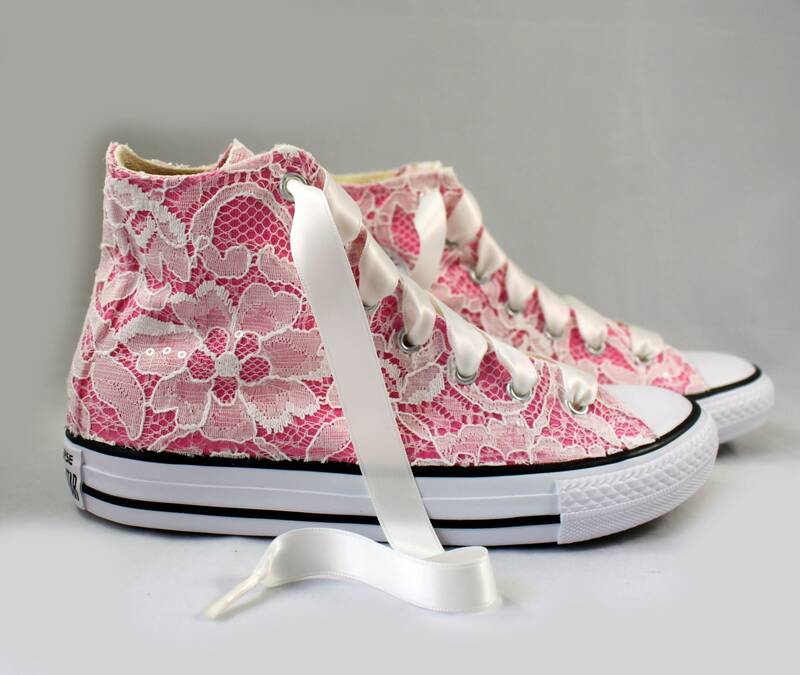 Please leave 4 weeks for your Converses to be completed by.